The trek begins at Drugyel Dzong passing through interesting villages, scattered hamlets and farmland. Vegetation zones differ from richly forested valleys to high alpine pastureland where Yak herders graze their animals. Trout fishing in a sky blue lake with magnificent views of three majestic peaks is an activity that can be done on a rest day. You will also encounter rare species like the blue sheep, and with any luck, possibly even the snow leopard! The unique culture of the friendly Layap people is fascinating to experience and gives one a sense of being in a truly remote corner of our world. Pine Camp to Soi Thangthangkha. The trail again follows the Pachu river ascending through pine, oak and spruce forest. Picnic lunch will be served along the trail. The camp is at an altitude of 3,800 meters near a stone shelter. Walking time 7/8 hours. Soi to Jangothang. Climb slowly for a while till you reach an army camp. Then follow the river above tree line with stunning views of the surrounding peaks. Hot lunch will be served inside a Yak herders camp. 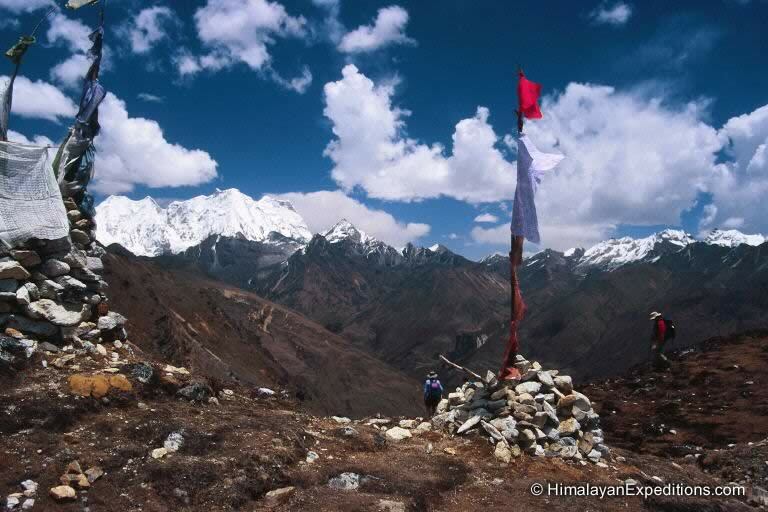 A easy walk will reach you to Jangothang at an altitude of 4,050 meters. The view of Chomolhari (7,320 m) and Jichu Drake (6,900 m) is superb. Both the mountains are still virgin peaks. Walking time 4/5 hours. Rest at Jangothang also known as Chomolhari Base Camp. Explore the surrounding areas like Tshophu lake, visit Yak herders or simply relax. Jangothang to Lingshi. The trail follows the stream for half an hour and crosses the bridge to the right side. 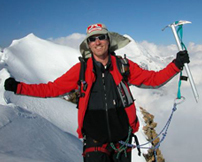 Climb up the ridge and enjoy stunning views of Chomolhari, Jichu Drake and Tsherim Khang mountains. Then walk through the wide open valley sometimes coming across herds of blue sheep. The climb up to the Nyele la pass (4,800 m) is not too difficult and the view is breathtaking. After the pass it’s a gradual descent through the valley with beautiful views all around. Nearing the camp you will see the Lingshi Dzong perched atop a hill with commanding views of the valley. Arrive camp at (4,100 m) near a stone shelter. Walking time 6/7 hours. Today is an easier day after the rigours of yesterday as we climb past Lingshi dzong, perched on the hill top with a commanding view of green hills, the winding river and magnificent peaks. It is a pleasant walk through villages and yak herder's camp. After lunch, a short walk will take you to Chebisa village. Camp by the side of the stream at an altitude of 3,850m. Walking time: 5/6 hours. Today begins with a steep climb up a ridge to Gombu La pass at an altitude of 4,400m, taking nearly four hours. After the pass descend to a lunch stop, through rhododendron bushes. Afternoon continue along the up and down path, after crossing the stream, through rhododendron forests and yak herders camp. We may see herds of Blue Sheep near the pass.. Camp is at 4,220 m. Walking time 6/7 hours. The trek starts with a climb up to the Jhari La pass at an altitude of 4,700m. Then descend to Tsheri Jathang valley, the summer residence of the rare Himalayan Takin (national animal of Bhutan). From here we may have to cross the stream as the foot bridge is often washed away. After crossing the stream towards the left, the trail climbs to reach Robluthang camp at an altitude of 4,400m. Walking time 7/8 hours.The trek starts with a climb up to the Jhari La pass at an altitude of 4,700m. Then descend to Tsheri Jathang valley, the summer residence of the rare Himalayan Takin (national animal of Bhutan). From here we may have to cross the stream as the foot bridge is often washed away. After crossing the stream towards the left, the trail climbs to reach Robluthang camp at an altitude of 4,400m. Walking time 7/8 hours. It is a long climb up to Sinche La pass (5,000 m). The view of the mountains from the path is spectacular. After the pass the trail descends to Limithang, and is sometimes quite narrow so you may have to cross a stream again and get your feet wet! The last part of the trek is very interesting with a view of Mt. Gangchey Ta peak. The camp is at an altitude of 4,150m. Walking time 7/8 hours. In the morning you wake up to a superb view of Gangchey Ta peak. The walk to Laya is very pleasant with incredible views. You will pass through dense forests, filled with moss and singing birds. Arrive at Laya village, the second highest settlement in the country, at an altitude of 3,840m. Walking time: 5/6 hours. A free day to explore Laya village and environs. Our guide will take us to a local house where traditional Bhutanese hospitality is extended and a cup of tea and Chang (local drink) is always offered. The people in this village are culturally very interesting, especially the women who wear conical bamboo hats decorated with turquoise and silver ornaments. In the evening we have an opportunity to see some dancing and singing performed by local villagers around a campfire and to “sample” the local alcohol of Ara & Chang - if you are brave enough! The trail winds up and down along the river valley, through beautiful forests with great views of waterfalls, swift streams, a wonderful variety of birds, and perhaps the musk deer if you’re lucky! The campsite at Koina (3,100 m), is not very good as it is usually quite muddy, but it’s about the only flat ground around! Walking time 7/8 hrs. After ascending to the Bari La pass (3,850 m), the trail descends until you reach the lovely village of Gasa with a beautiful old Dzong. There are a few shops (first beer in weeks is available here!) and a soccer and archery field. We can camp here or continue down the trail for another hour or so to Gasa Tsachhu (Hot Springs), a wonderful place to lounge after a long trek. Walking time 6/7hours. TREK FROM GASA TO ROAD HEAD NEAR DAMJI. DRIVE TO PUNAKHA. The trail continues descending and ascending through a heavily forested area with wild orchids, and other beautiful flora. In this region, if there has been rain, there are also leeches so you have to keep an eye out for them! The road continues to be extended up this valley so it is becoming a continually shorter hike (3 hours now?) before we reach the point on the road where our vehicle can reach and will be waiting to drive us to Punakha. Overnight at a comfortable hotel. Morning sightseeing of the spectacular Punakha Dzong and then drive to Bhutan’s lovely capital, Thimphu, arriving around lunch time. After checking in to our comfortable hotel, we will have time in the afternoon for sightseeing around Thimphu. Overnight at the hotel in Thimphu. Morning free for a stroll around the market and then we drive 2 hours to Paro. Afternoon sightseeing in Paro. Overnight at a comfortable hotel. PLEASE NOTE: On adventure trips of this type, local weather, politics, transport or a multitude of other factors beyond our control can result in a change of itinerary. It is, however, very unlikely that the itinerary would be substantially altered; if alterations are necessary the leader will decide what is the best alternative, taking into consideration the best interests of the whole group. Where a change does occur, we do everything we can to minimize its effect, but we cannot be responsible for the results of changes or delays.